Cut Costs: Become a more sustainable business and save your business money. Become a more sustainable business and save your business money. waste: recycle and use less materials. Sustainability is best achieved by looking at all aspects of your business but if you don't have the time, focusing on one or two aspects of your business is a good start. If you want guided help visit the Grow Me The Money website. While some of these ideas may cost initially, you should make your money back in the long term. The Energy Saver Incentive, also referred to as the Victorian Energy Efficiency Target scheme, is a Victorian Government initiative making energy efficiency more affordable and contributing to the reduction in greenhouse gas emissions. Businesses selling or installing selected products and services that help households and selected businesses use less energy and reduce greenhouse gas emissions may be eligible to receive financial incentives. The scheme operates by placing an obligation on liable energy retailers in Victoria to surrender a specified number of energy efficiency certificates every year. Each certificate represents a tonne of greenhouse gas abated. Revenue generated by accredited businesses through the sale of these certificates to liable parties enables accredited businesses to offer discounts and special offers on selected energy saving products and appliances installed at homes, businesses or other non-residential premises. The bigger the greenhouse gas reduction, the bigger the potential saving. For a list of energy saving activities currently available under the scheme or to find out more visit the Energy Saver Incentive website. Architects, builders and some trades (e.g. plumbers) offer specialist 'green' services and materials. Something as simple as a external paint with a thermal paint additive can cut 40% of the sun's heat, reducing your need to run expensive air conditioners. For more information visit our Environmentally friendly building page. This can include solar or wind power you buy from your energy retailer. Eligible businesses buying small renewable energy generators, such as solar, hydro or wind systems, will get Renewable Energy Certificates (RECs). The credits in the certificates can be used to cut the cost of installing the system. Run by the federal government clean energy regulator, visit the Clean Energy Regulator website to find out more. Economics is always an issue when it comes to motivating solutions. Ideally then, we all want to deliver economically viable solutions to provide beneficial outcomes. But this is much more difficult than it would appear. So everybody knows this. The key is to make the conditions favourable to deliver market solution answering to this. 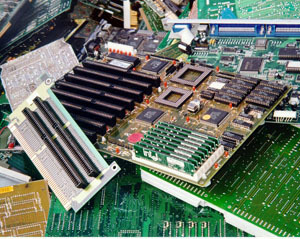 In the ISRI 2014 Convention however, we see that problems have arisen from the lack of drivers to recycle electronics economically. This leads us to a couple of conclusions. Since the legislation demands electronics be recycled, then it is left up to the recyclers to find a way to make this happen. If the costs however are not covered with a small profit to drive this environmentally beneficial action, then legislation is either helping or hindering if that is the result. So either legislation is not well thought through, redundant or requiring further legislation to assess these market dislocations. I'm not arguing the existence of legislation in the first place (whether it's good or bad), but rather, the unintended consequences as it has turned out. And that is where we put in the word "DESIGN". If products were designed to make this event of consumer electronics recycling more cost efficient, then perhaps all sides would be more able to sustainably recycle the goods. And from there, more good will make more good. Electronics recyclers say EPR legislation has had a negative effect on their businesses. A panel of electronics recyclers discussed various issues facing the industry in the Spotlight on Electronics session Tuesday, April 8, at the Institute of Scrap Recycling Industries Inc. (ISRI) 2014 Convention & Exposition. The panel, moderated by Jim Levine of Regency Technologies, with operations in Ohio, Atlanta and Chicago, featured Joe Clayton, vice president of sales and marketing for MRP Co., headquartered in Hunt Valley, Md. ; Dag Adamson, president and founder of Lifespan Technology Recycling, Newton, Mass. ; and Craig Boswell, president and co-founder of Hobi International, Batavia, Ill.
Clayton said the only thing lacking when it comes to processing CRT glass is the willingness to pay for the service, adding that the capacity exists to handle the material that is being generated. Boswell also said he saw the problem as an economic one, adding that recyclers have gotten into trouble because they did not adequately price for handling this material. He said the charge is now built into the pricing model in the business-to-business environment. Regarding OEM (original equipment manufacturers) contracts, however, Clayton said this was not always the case. “I walked away from an OEM contract because it didn’t pay me enough to do good,” he said. His response led to a follow-up question on the effect that EPR (extended producer responsibility) legislation has had on the industry. Levine added that OEMs were “forced” into this approach and are not happy about paying to recycle material that is 15 to 20 years old. “They do their weight limit and not much more,” he said. Boswell said the purpose of the legislation was to get OEMs interested in their products at the end of their useful lives, forging relationships between OEMS and recyclers. Adamson added that design for recycling is a key component of EPR regulations, saying results have been seen in this area. Boswell added that many of the issues related to EPR for electronics have arisen from the implementation of these laws and not from the concept of EPR itself. The ISRI 2014 Convention & Exposition was April 6-10 in Las Vegas at the Mandalay Bay Resort & Casino. According to the United States Environment Protection Agency (EPA), 70-80 per cent of a product’s environmental impact is locked in during the design and development stage. By investigating the potential impacts of your product and then finding ways of reducing these issues through eco-design, you can create functional, aesthetically pleasing and successful designs without locking in unnecessary environmental impacts. Decisions made here impact upon the entire design process and the environmental impacts of the job.Ask the client to identify in the brief the most important to the least important items so you can accommodate these with eco-preferences. In responding to a brief provide the client with an eco-design option to consider. Consider the impact of your product throughout its life cycle - can design solutions be developed to make it last longer, use less materials or totally recyclable? Select low impact materials that will promote longevity in your product.Avoid coupling materials that cannot be recycled. Preference materials that can be recycled in the country the product is intended for. Use design techniques such as honeycombing to reduce the amount of material used. Select manufacturers who have environmental management certification systems in place.Try to ‘close the loop’ by reusing waste materials and minimising virgin material inputs. Ask suppliers to provide you with environmental information and look for those that have a low environmental impact. Flat packing your products reduces cargo space and the cost of transporting them.Choose recycled materials for packaging products that can in turn be recycled. You can also talk to sustainable packaging designers about new packaging options. Think about ways to reduce the amount of packaging and still protect the product. First Steps: Environmental Impact Reduction, Eco-Design and Sustainability Strategies. Source, design, and create products that are environmentally friendly. When designing your products, considering the environmental impacts of the whole lifecycle of that product is known as eco-design. Eco-design not only improves the environmental outcomes it may also reduce your costs in the long term. The design and creation of products can require the extraction of natural resources, manufacturing, transportation and waste disposal at the end of life. As a product goes through these stages, energy and water are used, and waste, pollutants and greenhouse gas emissions are created. The impacts are outlined below. The extraction of natural resources – whether through mining, harvesting or land clearing – generates carbon dioxide (CO2) emissions, uses water and land, and produces waste products that have to be disposed of in the environment. Transforming materials into products often requires complex manufacturing systems and this means there is a need for resources such as energy, water and materials, which will all contribute to the product’s environmental impacts. Generally, the main impacts of manufacturing are due to the energy used to create the product and the emissions (air, water and waste) generated during the process. Transportation is vital yet it also causes environmental impacts. The biggest issue is the production of carbon dioxide which contributes to climate change. Generally, products that are distributed by road or air have a larger impact than those transported by sea or rail. One issue with transportation is weight and wasted space. Additional energy, fuel, water, cleaners, covers, attachments or other materials required for a product to achieve its function (for example, razors are pointless without blades) must be included in eco-design considerations. If a product needs services or other extras during its life, then these must be considered, as they will contribute further to the product’s environmental impact. Both function and form – efficiency and quality – are important factors when considering a product’s use impacts. Durability and extended product life can reduce the impact of replacement and disposal, which links back to material selection, as discussed above. Equally, if the look and feel of a product is part of a passing fad, or the product isn’t convenient or effective, then even if it is durable it may not last long and be quickly replaced. Will the product go into landfill or will it get recycled? While it may be impossible to know, eco-design can make recycling easier and landfill less damaging. If your product has to be thrown away (for example, the packaging) then make sure that it is more likely to be recycled. As a general rule, it is best to avoid organic materials (such as wood) going into landfill, because in a landfill site the materials are not exposed to oxygen and so, instead of disintegrating, tend to mix with other substances and produce methane, a potent greenhouse gas. less is more: reduce the ecological footprint of your product by designing patterns to use up as much of the fabric as possible. Also reduce hems and seams etc. where possible. enhance recyclability: select materials that can be easily recycled, or design your product so it has timeless style. be efficient: select manufacturers and production processes that are energy efficient, use green, renewable energy and make efforts to reduce inputs such as water and chemicals. zero waste: find ways of using offcuts, scraps and damaged stock so that it minimises waste to landfill. offer a service: why not take your product back or let customers trade it in when they are finished with it? Then you can re-construct it into something new or donate it to charity? By offering a full service you can guarantee a closed loop – and your clients will keep coming back! reduce your VOCs: Volatile Organic Compounds are the funny smell you get from dyes and inks, and they are potent greenhouse gases so check with your supplier.